Spacesaver began building weapons racks back in 1998, primarily for law enforcement agencies and correctional facilities. 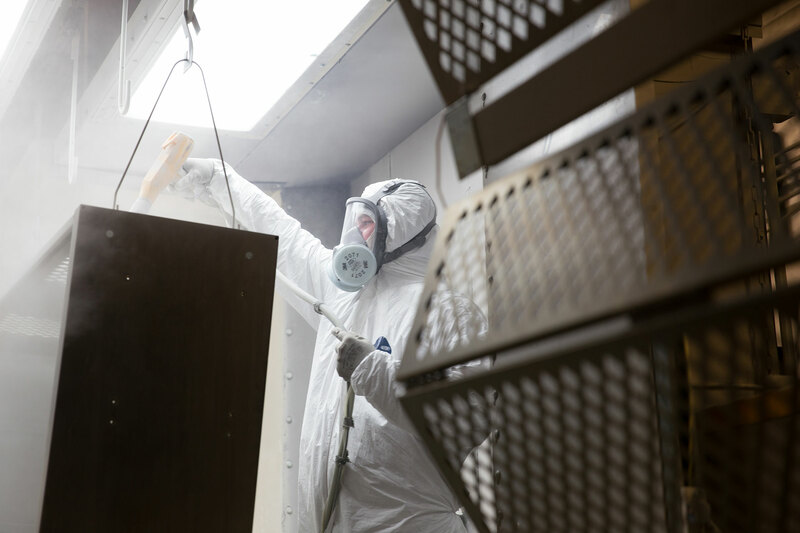 Seeing the success of the racks in the public safety environment, we began perfecting the design to make it as durable and user-friendly as possible. In 2000, the Marine Corps came to Spacesaver to purchase racks to store Benelli M4 Tactical shotguns. Through discussions with the Marine Corps, it became clear that what was really needed was more than just an M4 rack. They needed a universal rack that would not only hold the weapons, but also store them safely and properly with optics zeroed. After working extensively with the Marines to understand their weapons storage challenges, we designed, iterated, and developed what is now the Universal Weapons Rack (UWR) right alongside those who would be using it every day. 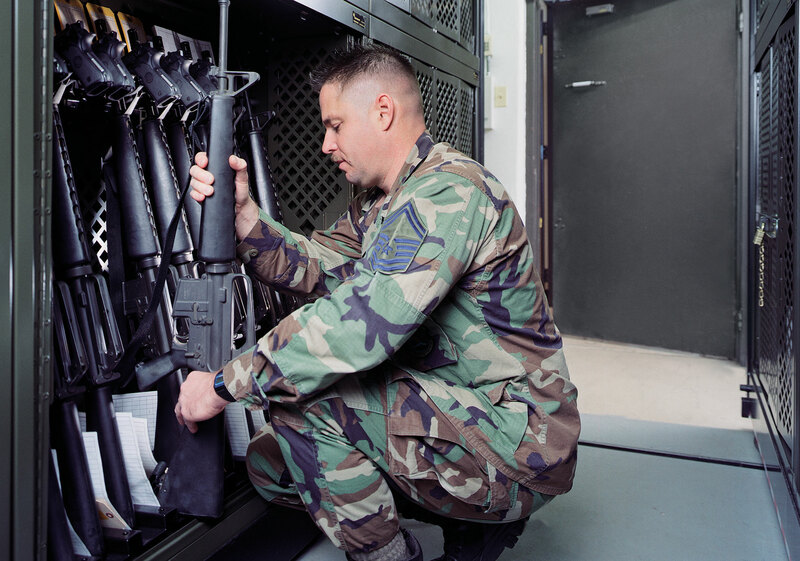 After the release of the UWR, the Marine Corps cataloged and assigned NSNs to all UWR components to ensure that their weapons rack of choice would be available as the standard at all installations. The UWR was field tested extensively by all branches of the military and exceeds OPNAVINST 5530.13C and AR 190-1, MARCORSYSCOM, and TACOM standards. The Marines were so pleased with their custom solution that in 2003, the UWR became a cornerstone of our military storage solutions for all branches. After selling thousands of UWRs in the first year, Spacesaver began getting requests from units that wanted to deploy with their weapons cabinets. 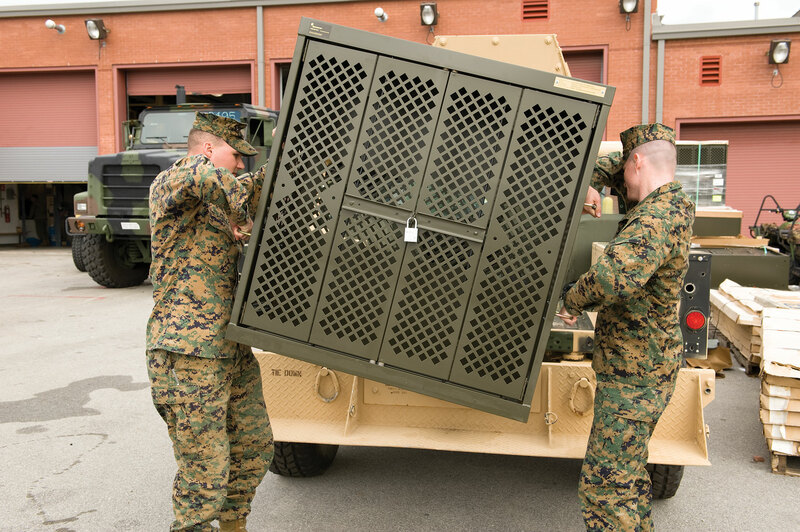 The original cabinet was reengineered and tested to protect weapons from shifting and abrasion during transport and to hold up over multiple deployments. As units returned from deployment, they were looking for ways to store even more weapons in their arms room without sacrificing the convenience and security of their UWR. To respond to this need, Spacesaver developed an 84” weapons rack to allow for even higher density weapons storage in static applications. 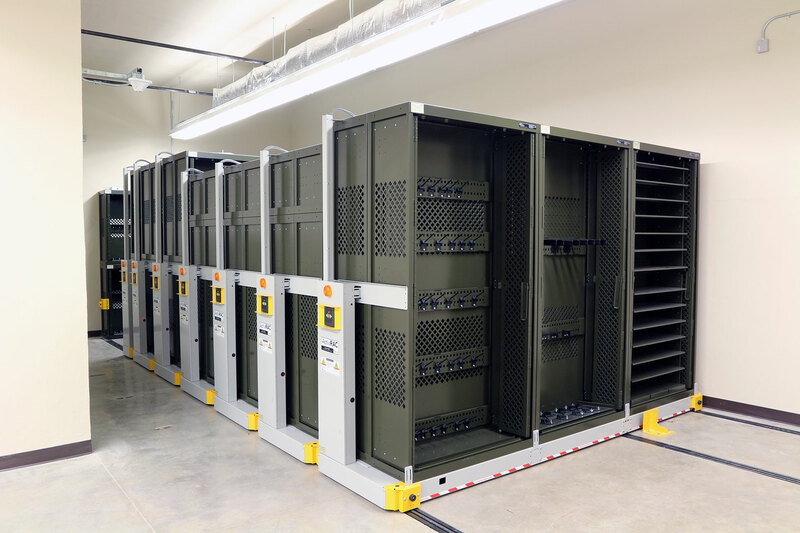 These racks can even be paired with a high density mobile storage system to further compact space, making the solution a go-to for in-garrison weapons storage. As the needs of our military change, we continue to adapt and develop our military solutions. We’ve created solutions like our Weapons Tricon and Parachute Container to help streamline the transport and deployment process and ensure every piece of gear is ready. Overview Brochure fits your Needs.